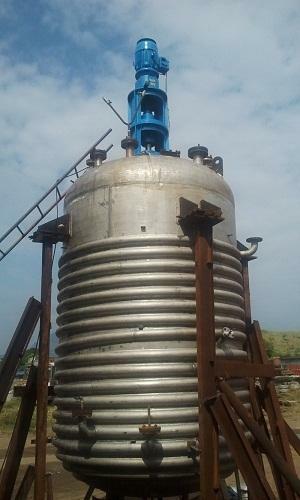 We are Leading Manufacturer and Supplier of Reacor Vessels or Limpet Reactors is made using the spiral technology. Which is used for the purpose of holding liquid or gases at a specific pressure & Temperature. All these reactors are developed in compliance with the established norms and guidelines of the industry. These reactors are provided with internal cooling coils or jacket depending on the requisite heat transfer. These Reactor Vessels are having various capacity (from 0.5 KL to 30 KL or as per customer requirement). The Reactor Vessels is especially manufactured for Pharmaceutical, Chemical Plants, Food Processing, paint & resin industry and many others for its excellent strength and supreme functionality. These jacketed reactors are very smooth, corrosion resistant and very easy to maintain. we manufacture these using quality-assured raw material, procured from the reliable vendors of the industry. In addition to this, we keep in mind the universally accepted quality standards while manufacturing these Reactor Vessels . Established in the year of 2013, Falbin Engineering Private Limited is the leading manufacturer, wholesaler, exporter and retailer of SS Storage Tank, MS Storage Tank, Agitated Reactor, Building Trusses, Heat Exchanger and much more.